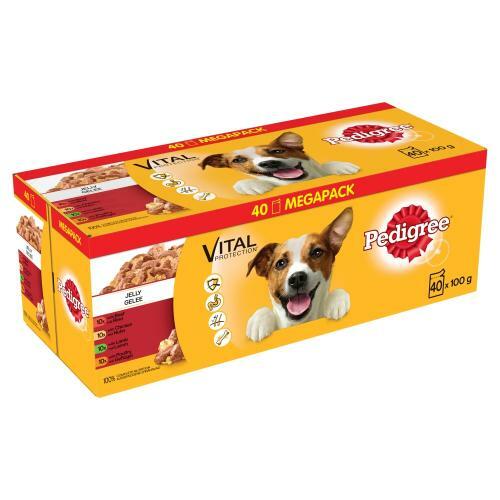 The Pedigree Pouches in Jelly Favourites Adult Dog Food are a selection of fresh succulent meals which provide your dog with a complete balance of vitamins and minerals to keep them fit and healthy. With recipes made to promote four key areas, bones, digestion, skin and coat and the immune system which helps provide your dog with the building blocks they need to grow and develop, you will soon see their personality shine. Omega 3 and 6 fatty acids to help keep dogs looking and feeling great.